Delphine Baudry wished to be a best-selling author, and now instead of celebrating and jumping into her next novel, she's frozen with fear. What if she turns out to be a one-hit-wonder? What if all her new fans hate the next book? To top it all off, she can't even discuss the situation with her favorite brainstorming partner, her mother, who is losing her memory to Alzheimer's. Taking a cue from some teens tossing Euros into a fountain, Delphine gives into some whimsy and wishes for her next book plot. Jean-Paul Chassériau wished to start an online marketing company in La Rochelle. Now the real work begins. Feeling pressure to live up to his father's name in traditional marketing and far enough away to be out of his shadow, he has a million ideas but no clients. When he finds a funky old Franc lodged between cobblestones near a fountain, there was only one thing to do. Make a wish. 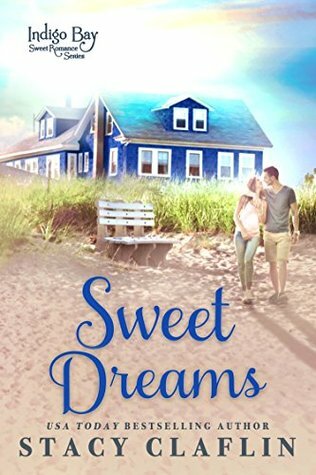 When their coins collide, Delphine and Jean-Paul's wishes become intertwined, changing the course of their futures and teaching them that wishes are sometimes fulfilled in unexpected ways. This book was seriously so cute. What starts as a random, one in a million chance, mid-air collision of coins over a fountain in France leads to the beginning of romance. It was the perfect hook! I loved the characters and of course, how they met, but I also loved how their relationship progressed. Delphine and Jean-Paul are fun together, they have good chemistry and their time together felt normal and natural. While they had a couple bumps in the road, nothing got too heavy or serious and I really liked that. The fun, light-hearted feel was perfect. Very sweet and very romantic. This book is part of a series of books being released every couple weeks. I'm loving them all so far and can't wait to read the next one! Landing a prominent chair in the Philharmonic Orchestra is part of Bree Ramirez’s determined plans to avoid her old life. Falling smack into her ex-fiancé’s path again? Nowhere close. But with a gang hit targeting her and her brother as loose ends, the pressure to get them out of Queens ushers her straight into the very arms she’s spent the last four years pretending aren’t still home. Things can get super messy when you run into your ex-fiance who was also your best friend. Bree and Josh have a lot of unresolved feelings and unanswered questions. Especially Josh, who was left behind without any explanation. Bree has been running for a long time and has now returned home. Her dad is in the hospital, a gang is trying to target her family, and now her ex is on her security detail. Did I mention the word messy? I really loved Josh. I loved his sense of duty, his loyalty and his desire to help everyone. He is just a stand up, all around good guy. He's someone I would love to have as a friend. Bree is a bit more difficult to understand and love, but by the end I liked her as well. This is a great series. I have read each book and enjoyed them all so much. 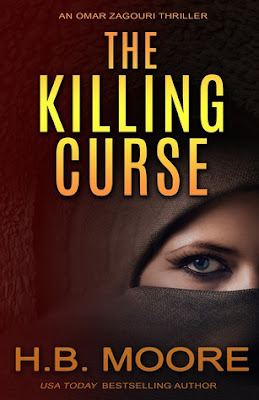 Crystal Walton knows how to write great characters who come to life in her books. There is always plenty of real life difficulties interwoven with hope and love. Whenever a get to read one of Crystal's books, I just get cozy and settle in for what I know will be a fantastic story. This is a novella in the Home in You series. Each book can stand alone but if you like a timeline flow, you should read them in order. First up, Paige's Turn by Jennifer Peel. Jennifer is one of my FAVORITE clean romance authors. I love, love, love her books! Pick it up HERE. Next up is another favorite author of mine, Sheralyn Pratt. 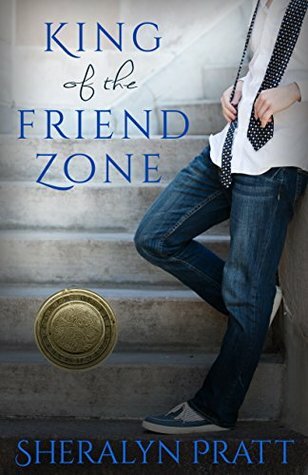 This book is King of the Friend Zone and it is part of the Power of the Matchmaker series. (also clean romance) You can pick it up HERE. The next book is part of the Fairy Queen series by Amber Argyle. It is a fantasy book. This first book kicks off the series and is novella in size. If you haven't read this series, this is a good starting place to see if it's something you would enjoy. Most of the book are also on Kindle Unlimited if you have that. I think the third book in this series is also free right now. 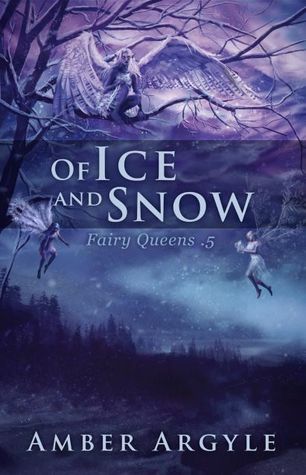 You can find Of Ice and Snow HERE. Man, I am such a fan of Heather Moore. I swear she can write any genre fantastically. This is probably one of my favorite series from her. I love the edge of your seat, fast paced nature of these thrillers. 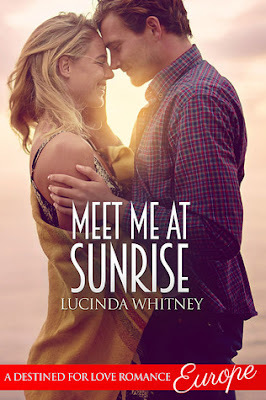 I would recommend reading them in order just because there is a progression to the relationship between Omar and Mia that happens slowly throughout this series. If you don't much care about that side of things (which is honestly such a minimal part of the plot) then I think you can read these book in any order and be happy. One of my favorite things about this book (and the others in this series) is that it has two stories in one. You have the modern day thriller going on- edge of your seat, action packed, full throttle- and in between you have a story from long, long ago. Usually the stories from long ago are a bit less edge of your seat and more personal- full of rich history and intense emotion. The two stories always connect together and it just makes the book so fantastic. I love the different feel to each side. Omar is smart and edgy. He's always in the middle of some dangerous game and sometimes it looks like there is no way out. I love Omar's instincts and the way he always gets the job done. Nothing comes easy for Omar. I blew through this book so quickly. I couldn't put it down. It was full on from start to finish- heart pounding and exciting. The story was so good! Content: Violence, frequent mild swearing (which I didn't love), mentions of a couple living together and having a sexual relationship but it's nothing more than a mention. 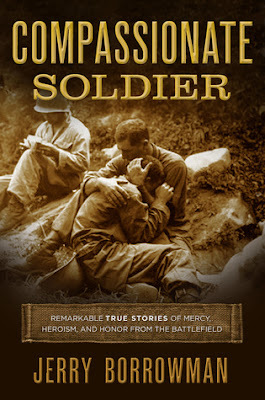 Compassionate Soldier illuminates some of the most fascinating and yet largely unknown stories of men and women whose humanity led them to perform courageous acts of mercy and compassion amid the chaos and carnage of war. Arranged by war from the American Revolution to the Iraq War and global in perspective, it features extraordinary stories of grace under fire from valiant soldiers and noncombatants who rose above the inhumanity of lethal conflict and chose compassion, even knowing their actions could put their lives and liberty at risk. Included in this collection are the stories of Richard Kirkland, a Confederate soldier during the Civil War who disobeyed orders and brought blankets and water to the wounded from both North and South during the Battle of Fredericksburg; Patrick Ferguson, a British soldier during the American Revolution who had the chance to kill George Washington, but refused to shoot a man in the back; and Oswald Boelcke, a German WWI flying ace who was one of the most influential tacticians of early air combat, but was known for making sure the airmen he shot down made it to the ground alive. These inspirational stories illustrate that even in the midst of unspeakable horrors of war, acts of kindness, mercy, compassion, and humanity can prevail and, in doing so, expand our conventional thinking of honor and battlefield glory. Phoebe wasn't looking for love in London. In fact, she had just gotten off a Reality Love TV show that didn’t end well. A simple baggage mix up introduces Phoebe to Bryan, and suddenly love seems like a possibility. But when the reality of the TV show catches up to her, Phoebe can't help but wonder if she will ever meet Mr. Right. This is a series I am super excited about. It has some of my favorite authors and the setting in Europe couldn't be better. These are novellas, not full length books (boo) so you can read through them quickly. I love all these themed clean romance collections that are super popular right now but I just wish they were full length novels. Novellas are okay, I like them but I definitely know I'm reading a novella. Sometimes a girl just like to have a bit more time for development. And kissing. Especially in books from her favorite authors. This story is set in London, England for the most part. It's a place I haven't traveled to quite yet, but it's on the list of places I really want to go. This romance starts with the normal noticing and awareness. Then a convenient luggage mix up provides the perfect opportunity for Phoebe and Bryan to meet. From there they spend some time hitting the local tourist spots. I liked the normal and natural progression of their time getting to know each other. Phoebe and Bryan are both just nice people. They are easy to like. And what could be more romantic than meeting your love while on vacation in London? 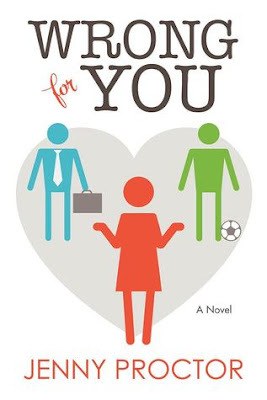 This book was light and sweet. The glitch wasn't too over the top and the resolution made me happy. This is a great start to this series and I can't wait to read the next one! 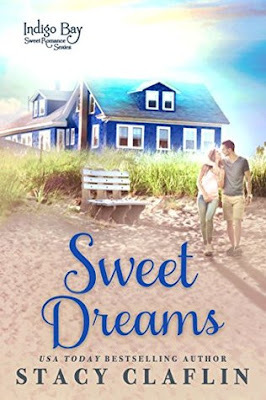 This is the first book in the Indigo Bay Sweet Romance series (a story world created by six fabulous authors) as well as a spinoff from USA Today bestselling author Stacy Claflin's Hunters series. 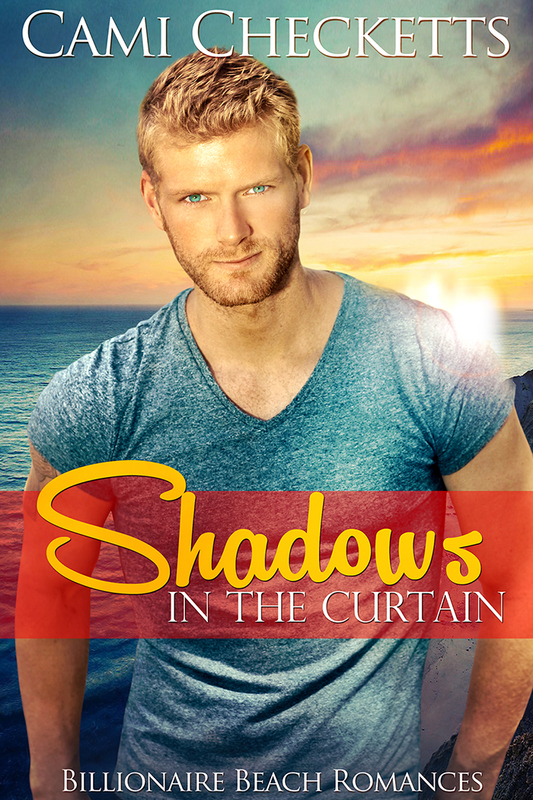 This sweet romance is a standalone, and can be read on its own. I'm super excited about this new Indigo Bay series! Different authors are writing the books but it's all set in the same town. These kinds of series are fun because you can find new authors to love or enjoy the ones you already know and love. My only little tiny complaint is that the books are just novellas and I'm always left longing for just a bit more. I've been reading a LOT of novellas lately and I'm wishing authors would get back to those full length novels I love. Even in a collection series like these. Stacy Claflin is not a new author to me. 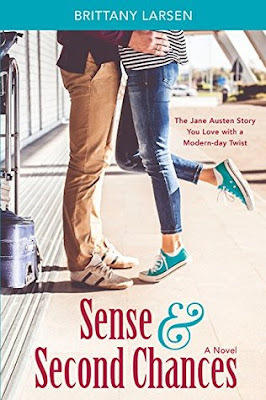 I've read many of her books and I've enjoyed them- especially her clean romance line and the Hunter's series. This book is a spin-off from that series but obviously can stand alone. I love the setting for this series. What could be better than a cute little town with a beach? In this book, Sky is escaping her life before, holing up and trying to figure out where she wants to be. Jace is the handiest of handy men, working on the property Sky is staying at. I loved their initial attraction and interest in each other and how that progressed into a very normal dating situation. There was one scene that I didn't love where Sky is pitching a fit and refuses to tell Hunter why she is upset. It felt so out of character for Sky and so juvenile. I didn't like it and it clouded me toward Sky after that. But Jace? I loved him from beginning to end. He's a good guy all the way around. I liked this book and it definitely peaked my interest in this series. 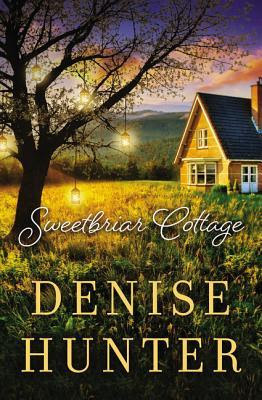 I'm looking forward to reading the other books- up next for me is Sweet Regrets by Jennifer Peel but that one isn't until June. I can't wait though!! -I received a copy of this book from the author. All opinions expressed are my own. That is a really long blurb. It pretty much sums up the whole story. I'm glad I didn't read it before I read the book because it would have taken out the anticipation of what was to come for me. This book was basically Josephine and Noah wading through the muck of their broken marriage and struggling against each other and truth, which always has a way of coming out one way or another. Josephine is a secret keeper. She has an awful, horrible past and it has really messed with her ability to connect to people and share her real self. Noah is angry and confused and rightly so. His knowledge is limited and it's hard to judge situations for what they are when you have limited knowledge. I really loved Noah. Even in his gruffy and self preservation moments, he was kind and protective. He showed respect when most people would say it wasn't deserved. The love in his heart was the catalyst for change and healing. This book deals with such heavy issues. It really isn't a light-hearted romp through the park and reading it at some points was very hard. The characters are in a messy situation. Situations alternate between the present and the past. It was good as a reader to be able to visualize their initial meeting and their growing relationship to balance out the present day angst. The flashbacks to Josephine's past are just sad and hurt my heart. But those helped me to feel the compassion I needed to like Josephine and understand her better. The book is well written and I felt the constant pull to keep reading in order to find the resolution I was so desperately seeking for these characters. - I received a copy of this book from the publisher through NetGalley. A positive review was not required and all opinions expressed are my own. Lucy Ashcroft doesn’t share her stepmother’s belief that she might find a husband during her sojourn in Bath, but she does enjoy a respite from a household full of half-siblings and a younger sister preparing for her London Season, something Lucy can’t even dream about. In Bath, she enjoys the company of the elderly ladies in her aunt’s circle, and happy to be out from under her stepmother’s watchful and speculating eye. 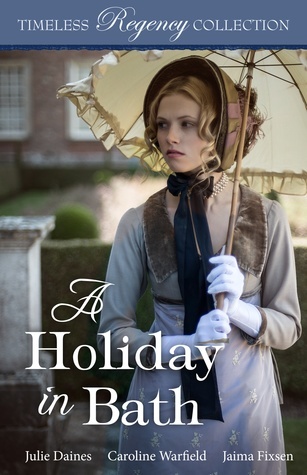 But when Lucy meets Lord Edmund Parker, all of her expectations for a quiet, unassuming holiday suddenly change. I love reading these anthology collections! The Timeless Regency Collection's are some of my favorite and this group of authors provided such a reading treat! I don't think I've read anything by Caroline Warfield before so it was fun to be introduced to an author new to me. I loved all three of these books. Although all three were set in Bath during the same time period, each book had a very different feel to it. The authors writing styles were distinct and that made me happy. These are novellas, so each book is a quick read. I read through them one right after the other but this is a great book to pick up if you only have a couple of hours to dedicate to reading something. A quick romantic fix. - I received this book free. A positive review was not required and all opinions express are my own. 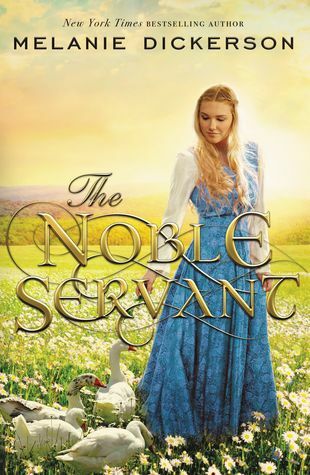 First, I have to note that this is an LDS fiction book and in this one, there are a lot of references to things very specific to the LDS religion. I love a good, new spin on an old classic and that's what this book is. 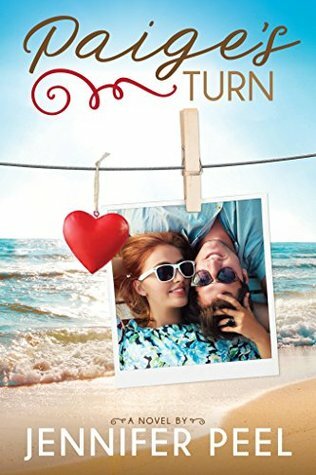 A modern setting, a few twists on the plot but not so much that you cannot recognize the parallel to the original story. I was quite caught up in the drama of it all. The characters were well defined and had recognizable strengths and weaknesses which gave them the very human element that we can all relate to. Especially Emily. She was the glue keeping everything together and she definitely felt the pressure of that. She was so strong when it came to others and helping them deal with tough situations but when it came to herself, she was much weaker. I felt a lot of connection to Emily because of that. This was a fun book! I think this is the second book I've read by this author and I'll be on the lookout for the next one! 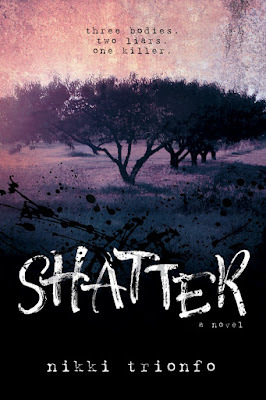 I'm excited to share with you a bit about Shatter today! This will come as no surprise to people who know me or follow my reviews but I'm a very lazy blurb reader. And, if I do happen to read a blurb, chances are that I'll forget it by the time I actually read the book. Then I'm completely surprised when I start reading because I have no idea what is coming at me! That's what happened with this book. 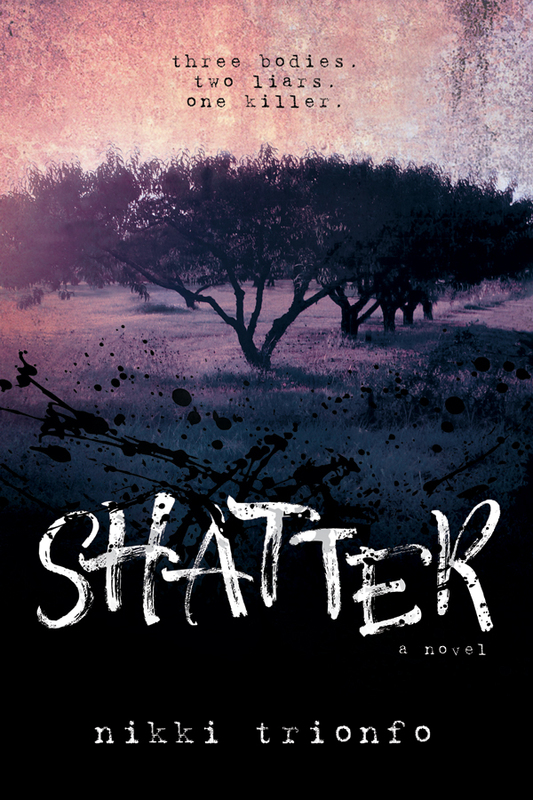 This book is a YA murder mystery with a dash of suspense and danger. As with most murder mysteries, there are a lot of characters in this book but the author did a good job of introducing them so I didn't feel too overwhelmed. Everyone was suspicious at one point or another so that was awesome. There were moments of intensity and then moments of quiet when Salem was just in her head, thinking and feeling but the story always had a good forward momentum. Salem was a very likable character. As a reader, I couldn't help but feel compassion and even a little pity for Salem who found herself in a very sad and lonely situation. She was so desperate to figure out what exactly happened to her sister. I loved how Salem listened to her intuition. She wasn't always exactly right, but close. Her intuition never steered her completely wrong. I loved how she gradually found a small circle of people she trusted and how they all worked together to solve the mystery. This was a good change from my usual reading fare and I enjoyed it! Billionaire Beach Romances for Only .99 cents each! 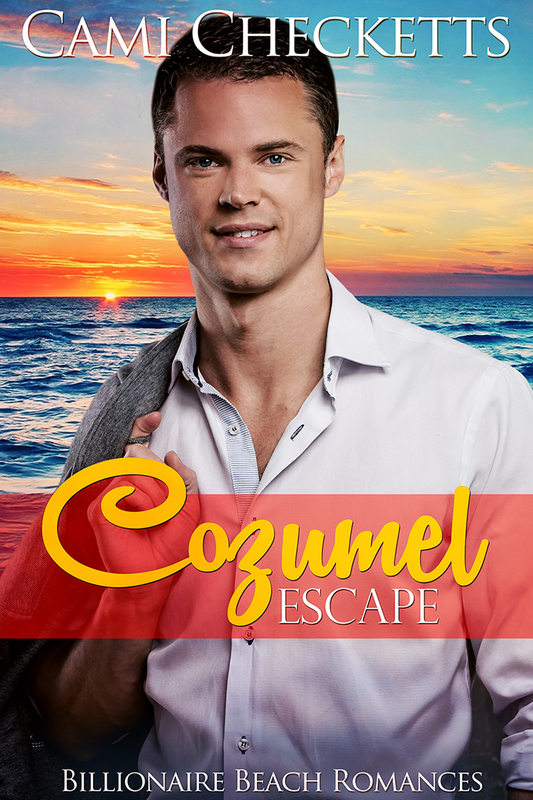 All four Billionaire Beach Romances are only $.99 until Tuesday, May 9th, including the newest release, Cancun Getaway. I hope you enjoy these fun vacation romances. 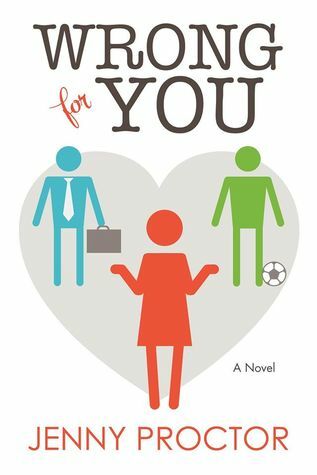 Moriah dances her way through life until she meets a blond Adonis who reminds her too much of her son's father. Find Shadows in the Curtain on Amazon. 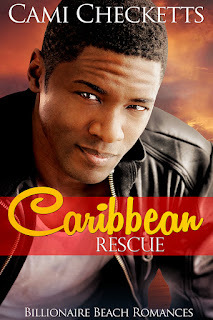 Maddie escapes from pirates, but is in a different kind of danger when she lands on the island of an ex-Olympian and a former Most Beautiful Man in America. Find Caribbean Rescue on Amazon. Brooks has never had a woman resist him until he meets Sydnee, an orphanage worker who has much higher purposes than falling for some charming man. 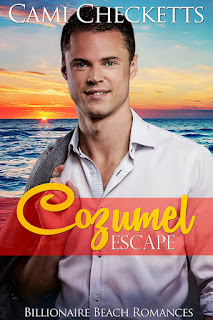 Find Cozumel Escape on Amazon. But all is not what it seems at Wolfberg Castle. Steffan has been evicted by his scheming uncle, and his cousin has taken over the title of duke. Left for dead, Steffan is able to escape, and disguised as a shepherd, hopes to gain entry to the castle to claim the items that will prove he is the true Duke of Wolfberg. Without their respective titles—and the privileges that came with them—Steffan and Magdalen are reunited in the shepherd’s field. Together they conspire to get back their rightful titles. But they must hurry . . . or else they risk losing it all to the uncle’s evil plan. I'm thinking this is the first Melanie Dickerson book I've read but how can that be? I feel like I've been reading under a bushel. Ha. Well friends, here it is. My very first Melanie Dickerson book review! Magdalen (poor girl) has a lot of rotten things thrown at her. She has an awful mother, she is betrayed by people close to her, she is put in a position doing things she has no clue about, people are mean to her, she feels the weight of letting her people down, . . . I'm telling you, Magdalen is having a rough time. Plus, one of the geese bites her. Poor Magdalen. Despite all that, Magdalen is a thinker and a fighter. She is always trying to find a way to change her circumstances and put things right. I really loved her pluck. Steffan isn't faring much better. Well, he has a bit of money, but other than that, his circumstances are just about as grim. 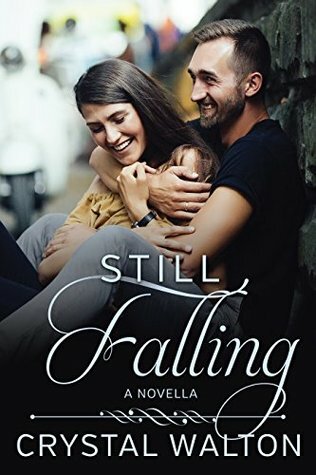 I loved the when Magdalen and Steffan were working together and making each other stronger. Of course, even that wasn't all smooth sailing, but the struggle was worth it in the end. I really enjoyed this book. It was a fun, adventurous journey with a happily ever after ending. What could be better than that?! This may be my first MD book, but it won't be my last! I hope to read many more books by this author and maybe convince my daughter to read them as well! - I received a copy of this book from the publisher via NetGalley. A positive review was not required and all opinions expressed are my own. 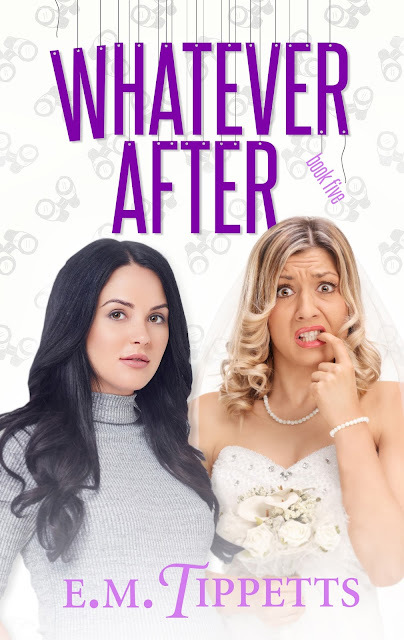 Check out this amazingly fun cover of Whatever After by E.M. Tippetts! Chloe’s got it all: a happy marriage to Hollywood A-lister, Jason Vanderholt, her first child on the way, and the chance to be the maid-of-honor in her best friend, Lori’s, upcoming wedding. The stresses of the past year are behind her… almost. Chris Winters, Chloe’s half-brother, still isn’t in jail, even though he’s the main suspect in a double homicide. The police don’t have enough hard evidence to charge him with the crime, but Chloe is certain it was him. After all, he tried to kill her when she was a child. When Chris begins to stalk Lori, Chloe is furious and decides it is past time he was locked up for good. She has the best security team money can buy, yet she knows they’re missing something, and mistakes in this business can be deadly. The deeper she digs, though, the less the facts add up. Chloe’s got mere weeks to figure out how to keep her best friend safe, save the wedding from disaster, and get Chris back in jail where he belongs. That is, if she can gather enough evidence before he strikes again.